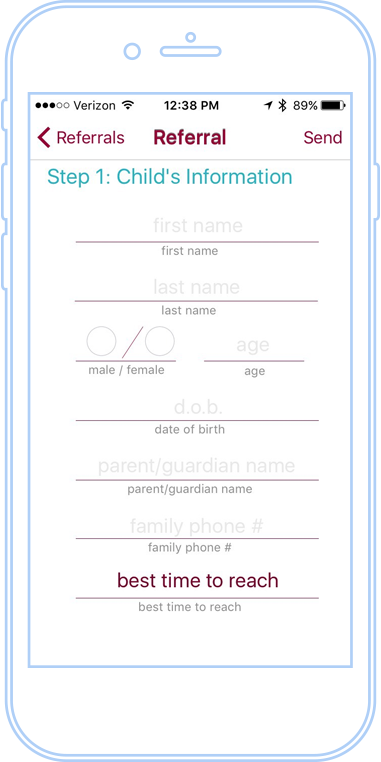 MobileSmith makes it easy to build real, custom, mobile applications. Its drag-and-drop easy to use interface makes it the simplest way to build enterprise-ready native apps for iOS and Android. Whether it’s put in the hands of a software developer or a graphic designer, the results are astonishingly beautiful, powerful mobile apps. 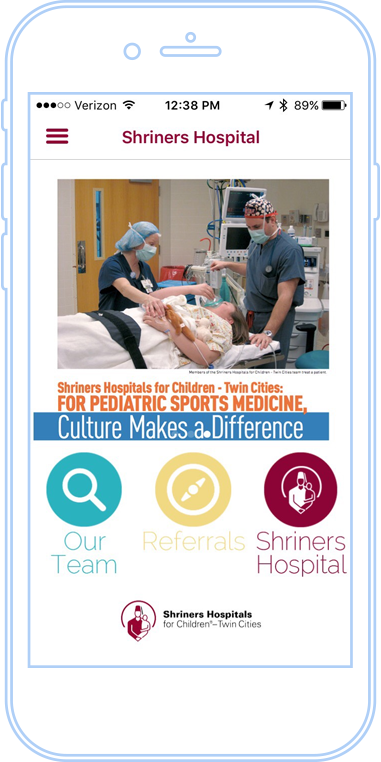 The following sample app was built with Shriners Hospital – Twin Cities. 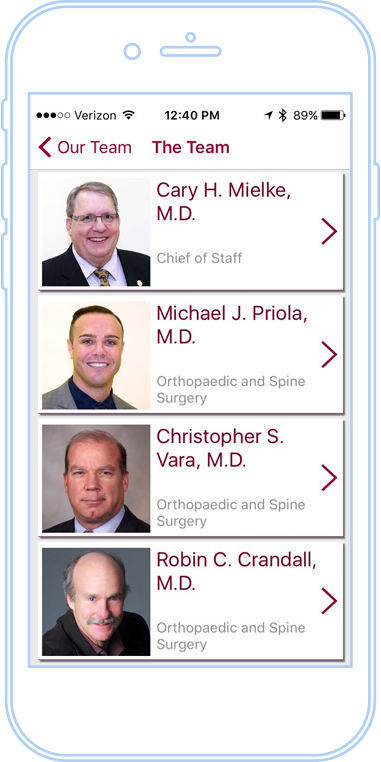 The app is for physicians to learn more about the hospital, learn more about Shriners doctors, and make referrals to the hospital.